Do you feel Christmas is coming? 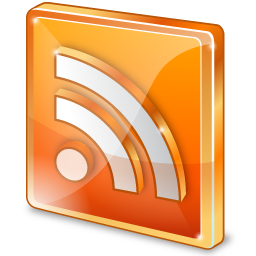 Do you have tech geeks on your family or friends? 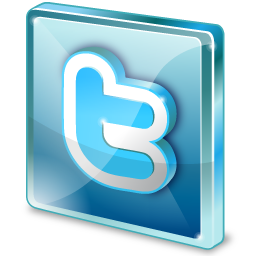 Are you thinking a way on how you can give them well treat and gift? Savor it with some tech gadgets like storage devices for their daily needs. 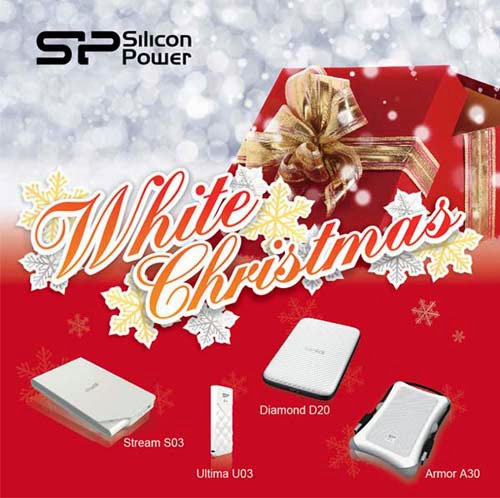 As Silicon Power presents holiday gift ideas with White Christmas Series, stored them with love that came along within the storage devices. 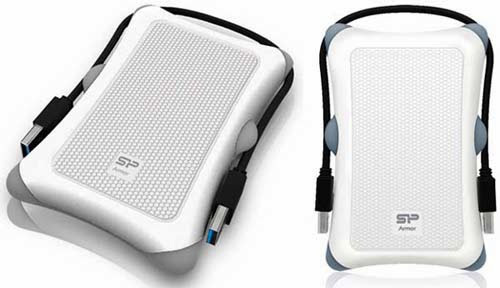 SP “White Christmas Series” also incorporates wide range of product lines including Diamond D20 portable hard drive, Stream S03 portable hard drive, Armor A30 portable hard drive and Ultima U03 flash drive. Diamond D20 USB 3.0 portable hard drive is extremely slim with the built-in 7mm slim hard drive, which is truly portable that can perfectly fit in your pocket. Featuring a solid aluminum metal structure with unique carbon-like texture, Diamond D20 creates a new sense of digital fashion trend, ideal for those who are looking for storage on the go. 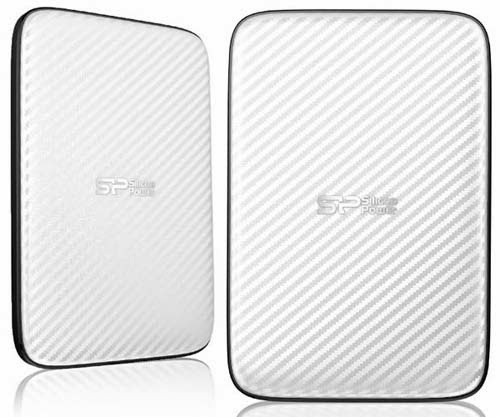 Stream S03 USB 3.0 portable hard drive is characterized by the folding design with the inspiration of folded pages which are generally used to signify the precious memories. The folding design demonstrates the wonderful connection between technology and human beings. 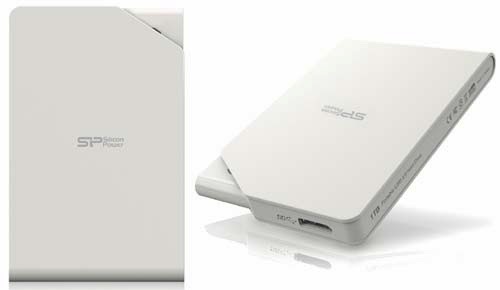 Moreover, Stream S03 features the pure-white enclosure, making itself as shining as the snowflakes in the sunlight. Armor A30 rugged USB 3.0 portable hard drive owns an ergonomically streamline design, allowing users to hold and operate at ease. Additionally, Armor A30 is comprised of a shock-resistant silica gel to add an extra shield to withstand crushes and shocks. Topping up with the refreshing white color and ultra-speed transfer rate, the military-grade shockproof A30 perfectly suits for travelers, sport enthusiasts, and businessperson on the go. Ultima U03 flash drive features the elegant design which makes itself a perfect tech accessory to go with your belongings. The chic design of Ultima U03 is simple yet classic. Ultima U03 shows true elegance with its snowy white design and luxurious diamond cut pattern with a glossy surface. Furthermore, the textured rear cover includes a retractable USB connector for easy access and storage. 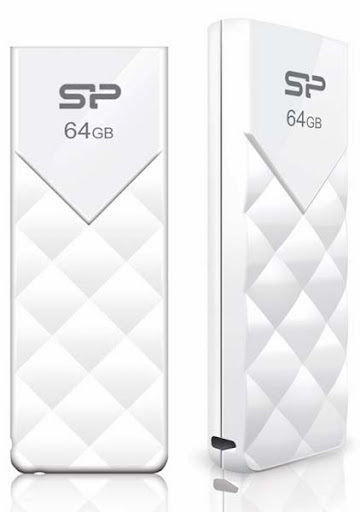 SP “White Christmas Series” offers the whole package in which all the portable hard drives offer the SuperSpeed interface of USB 3.0 and capacity options up to 1TB while flash drives are available in 4GB, 8GB, 16GB, 32GB and 64GB. All Silicon Power products come with a global warranty.